When was the last time you bought a new car? If it has been in the last few years, according to industry sources, the process probably went a little bit like this. There is an almost 90% likelihood that you started your research online. When just starting your research, there is a 6 in 10 likelihood you were open to multiple options. Makes. Models. New vs. used. When researching, by far, the most common sources you used were third-party sites (seeing this as the most useful, unbiased source of information). What make/model/features do I want? How much is my current car worth? How should I pay for the car, cash or finance (if finance, what terms are available)? Where is the car available that I want to buy? After doing all of this online research, chances are, your initial point of contact with the dealership was to go there in person. If this describes your last car buying experience, you are like almost every other car buyer. Like you, by the time a buyer shows up at the dealership, they know exactly what they want to buy, how much they want to pay, and what terms they expect. In fact, they are so sure of what they are going to buy that almost 40% only visit one dealership and more than half only test drive one car. The car is bought/sold before the buyer ever shows up at the dealership. After doing all of that research, you finally decided it was time to see this car in person. You pulled into the dealership you knew had your car (based on research). As you got out of your soon-to-be old car and spotted your soon-to-be new car, your excitement started to build. No you didn’t! You spent hours online researching this very car. You have sold yourself on this purchase a dozen times over. Not only are you not browsing, you are an active freakin’ buyer! That objection is just a natural, gut reaction. But, even as an active buyer, you don’t want to feel ANY pressure. You may be there to buy, but you don’t want to feel as though you are being sold to. How often have you heard from a prospect, “We’re really happy with our current broker.”? This, despite the fact that you have tracked their traffic on your website. You know they read all of your blogs. They download all of your content. They have attended all of your webinars/seminars. And they even returned your call and set an appointment with you. Whether it’s buying a car or buying your advisory services, today’s buyers go through the same basic buying journey. And the early stages of those journeys have a common trailhead: they all start online and continue online until it’s time to step on the lot to take a test drive. While there may be subtly nuanced differences in the buyer’s journeys, all go through three phases. 1. Awareness – This is when your future prospect comes to the realization that they need something better than they currently have. They may figure this out on their own or as a result of new information provided to them. 2. Consideration – During this stage, their problem is demanding attention and they are actively looking for a solution. 3. Decision – At this point, they are simply deciding which solution is best for them. If you don’t understand this journey for your own buyers, chances are you are going to come across as too salesy and push too hard. 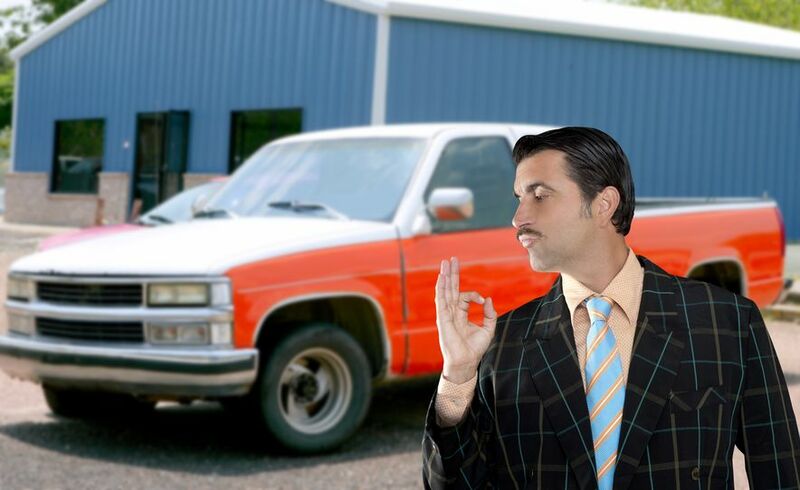 Just like with that car salesman, knowing the amount of research the browsing guest has done before getting to the lot should cause them to approach that potential buyer way differently than in the past. If they understand that the guest wouldn’t be there if they hadn’t largely sold themselves online already, then they know they don’t have to sell them anything. They just have to make sure the remaining path of the buyer’s journey is clear. Sounds WAY easier doesn’t it? I mean, how cool is it that you don’t have to do the heavy lifting of selling like you used to?! How cool is it that buyers are doing the research, identifying problem, evaluating solutions, and showing up ready to buy?! That can be your reality, but it doesn’t come without hard work. Sure, it’s different hard work than you’ve committed to in the past, but it’s also no less challenging. Instead of the sale happening face-to-face between you and your prospects, most of the buyer’s journey is happening between the prospect and your online presence. You can sit there and convince yourself that buying a car is WAY different than buying advising services, but you’d only be fooling yourself. Don’t get hung up on the differences in the products being bought. Instead, understand that all buyers are looking to solve a problem. And it is their journey to solving a problem that all buyers have in common. Now more than ever before, marketing has to be a critical, daily function of how you run your business. If you aren’t present at each leg of the buyer’s journey, speaking to the progressive decisions/goals of the buyer then, from their perspective, you don’t exist. What do the three phases of the buyer’s journey mean to you? You need to consciously think about how you fit into each phase of the journey and create content that speaks to the needs the buyer is experiencing in each. 1. Awareness – Think about all of the ways in which you can help a business. Clearly, you can help with their insurance needs. But you are also able to help with bigger HR/benefits issues. You help with compliance, technology solutions, employee communications, attraction/retention, etc. On a regular basis, be writing about these issues as a part of your marketing strategy and plan. And don’t write about the products you offer in each area, write about the problems you can help solve. Prospects will see themselves in those problems and start to move to the next phase. 2. Consideration – Around those same problems mentioned above, start to talk about, in general terms, solutions that are available. Share case studies of how you have helped clients overcome those problems and the improved results they now enjoy. Help your audience to see their cost of inaction and find a sense of urgency to fix this problem. 3. Decision – This is an advisor’s equivalent of a test drive. Just know that by the time a prospect meets with you, they are aware of a problem, they have a general understanding of solutions available, and they’re simply trying to figure out if you are the best fit. Your job is no longer to sell them (your marketing efforts have already done this heavy lifting), it’s simply to clear the remainder of their buyer’s journey path. Speaking to the needs of today’s buyer is different than before. The hardest work takes place way earlier than it has in the past. Sure, this shifts the focus to your marketing presence and that may seem daunting. I get it. But, think about this – when you create that powerful presence at every step of the buyer’s journey, that is a salesforce working for you 24/7 and ensures you are there when your buyer needs you to be speaking about what is top-of-mind for them. If you are maybe still questioning the validity of this approach, look in the mirror. You just read our insights and perspective on the importance of marketing. Maybe you have just become AWARE that this may be a problem for you. Maybe this is going to start moving you down your own buyer’s journey on a path to a more effective marketing solution. Next: Pack Your SHIFT, We’re Going to Nashville! Previous: Are You Blowing Hot Air About Making Changes or Taking Meaningful Action?